These pictures should help you to learn the names of all the main guitar parts. 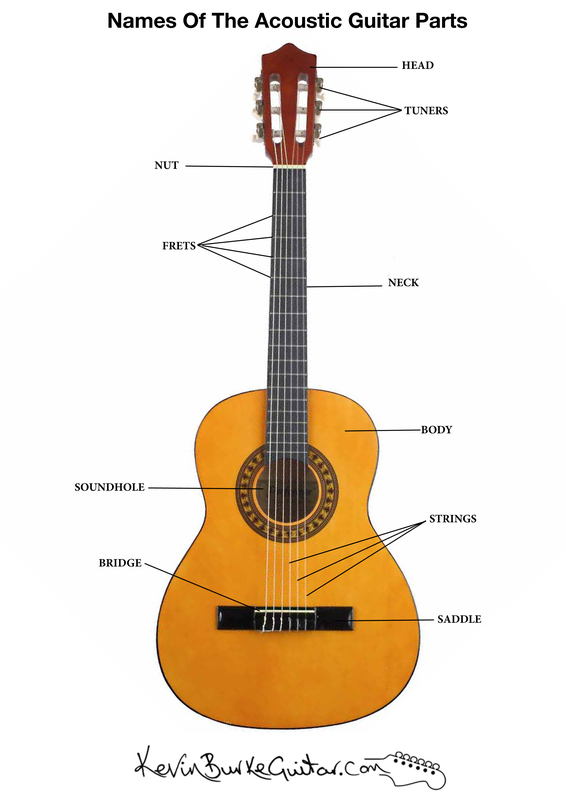 In this example we can see the names of an acoustic guitar’s parts. In this case a nylon strung or classical guitar. 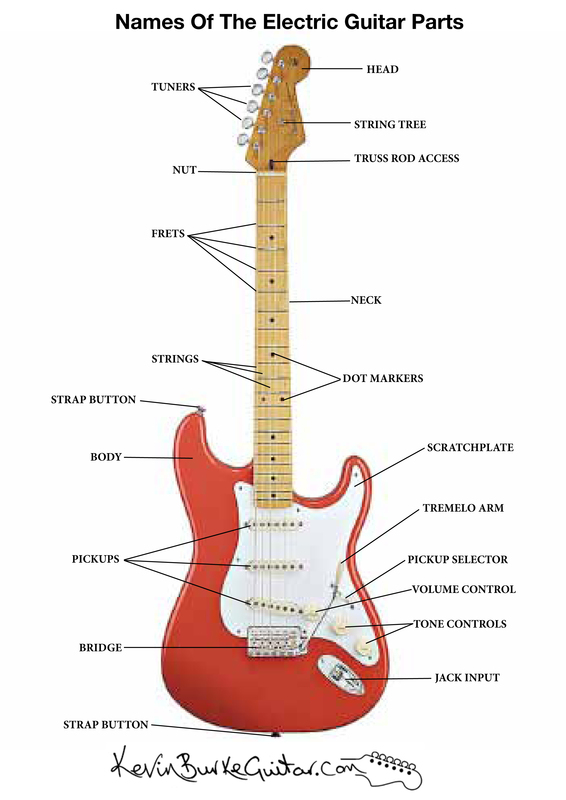 In this example below we can see the names of an electric guitar’s parts. In this case a Fender Stratocaster guitar. Perhaps the most popular electric guitar style there is. Image | This entry was posted in Blog and tagged free guitar lessons, guitar lessons hazel grove, guitar lessons stockport, guitar part names, Kevin Burke, www.kevinburkeguitar.com. Bookmark the permalink.